Modern orthodontics is a relatively new concept, however, there have been documented cases in early civilizations and spanning throughout the centuries. Braces are more common now than ever before — but is it in part due to innovation or as a result of different foods and oral objects such as pacifiers and sippy cups? 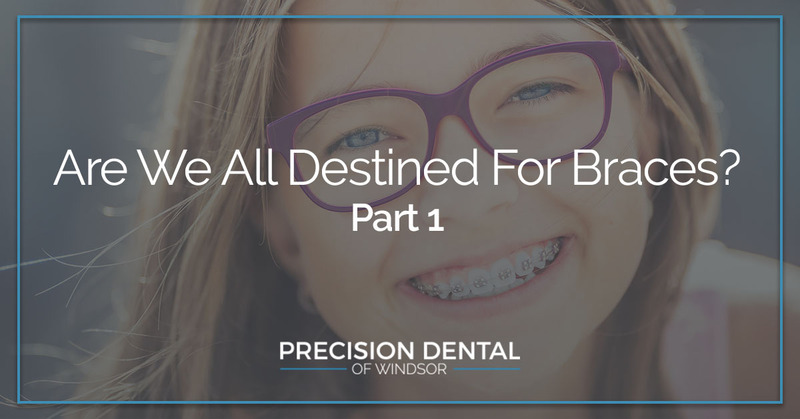 More commonly than not, the odd person out when it comes to braces is the person who never has them, which begs the question, are we all destined for braces? At Precision Dental of Windsor, we are a family dentistry practice that focuses on restorative care such as dental implants and fillings. Though we don’t offer orthodontic care, there are science-backed things you can do preventatively early on that may impact and reduce your need for braces. Navigate this topic with us today and see what tips you can begin to implement. In past generations, caregivers didn’t have the things that we give babies and young kids today, and the way we simply raise kids today strays far from what once was. Everything from the food we eat to breastfeeding practices has changed. There is much more ease and convenience today, which is interesting to note because we’re also seeing an overwhelming amount of changes in mouth and jaw development that requires orthodontics. Nutrition is one of the components that has drastically changed as we’ve moved from a whole-foods diet where all the meals were freshly prepared, to highly processed foods. 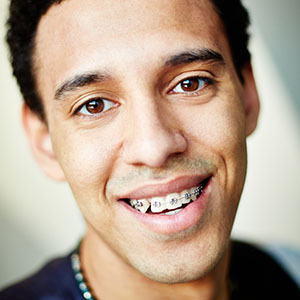 As a result, we’re seeing an increased amount of cavities and other teeth misalignments that need the assistance of braces. Many dentists have reported that even within the last decade, they’ve seen first-hand the impact of poor eating habits and gadgets have on patients later in life. Is there a solution to teeth misalignments and underdeveloped mouth and jaws in the role they play for braces later in life? There is much talk in this space about a fairly new form of dentistry being practiced called functional dentistry. Functional dentistry stems from functional medicine in that its goal is to find the root cause of the health concern and treat it from that starting point. Instead of treating crooked teeth with braces, dentists are taking one step back and looking at why we’re getting crooked teeth in the first place. Functional dentistry is identifying patterns very early on in the life of the patient and taking small steps to correct the variables that might be causing crooked teeth, jaw underdevelopment, or sleeping issues. Now that we have an understanding of functional dentistry, we can examine ways that our habits can contribute and lead to crooked teeth, thus braces. Like we often do, we’re going to leave you hanging and pick this conversation back up in part two — stay tuned! For additional information on how to keep your teeth healthy and cavity-free, connect with us today!